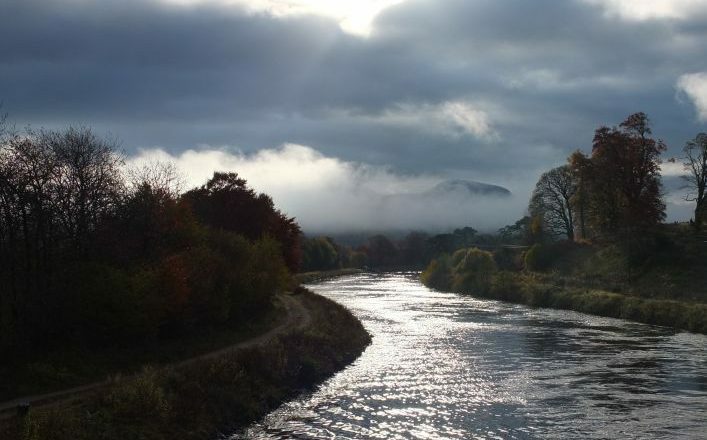 The Great Glen Way is a spectacular walking route from Fort William, nestling under the massive Ben Nevis to Inverness, the capital of the Highlands. 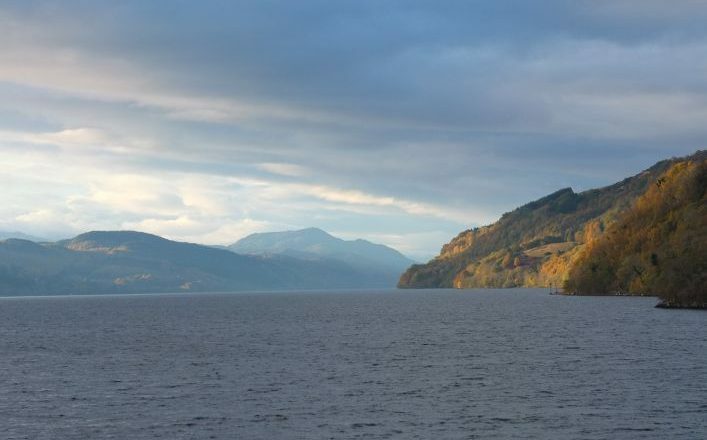 The Great Glen is a natural fault line running across Scotland as a series of lochs. 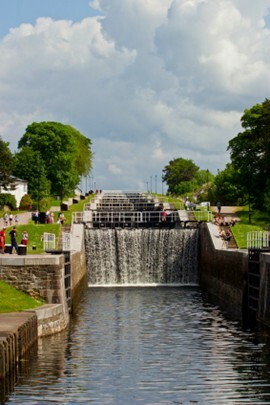 In 1803-1822 the Caledonian Canal was built by Thomas Telford to link the two coasts of Scotland. 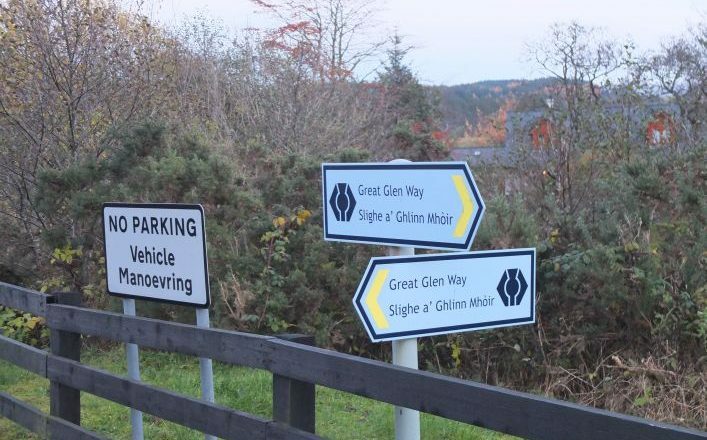 Fort William on the west coast and Inverness on the east coast mark the two ends of the glen. 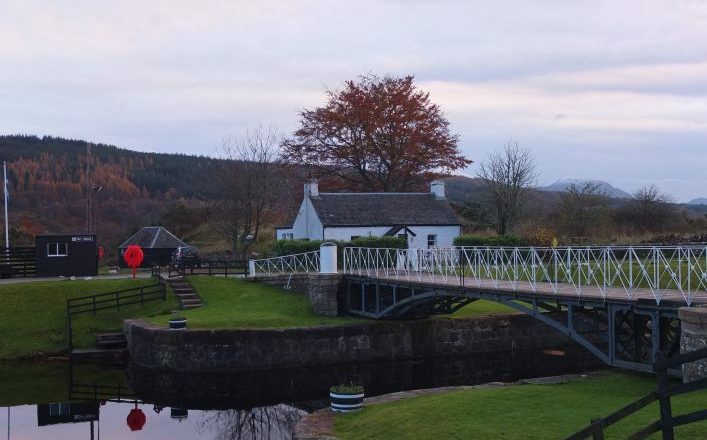 The Great Glen Way is a spectacular walking route from Fort William, nestling under the massive Ben Nevis to Inverness, the capital of the Highlands. 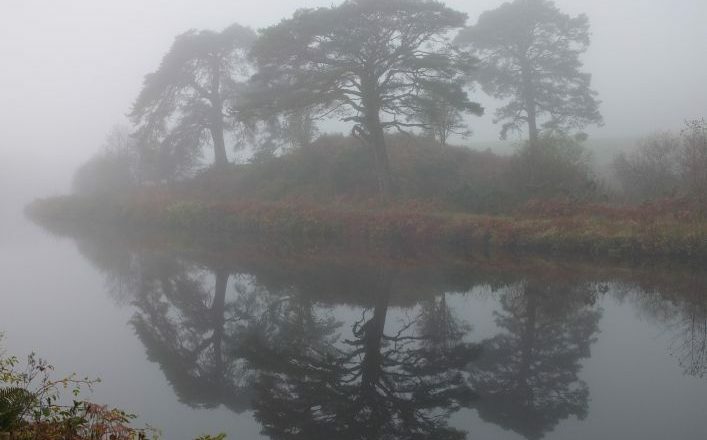 The trek takes you from the beginning of the Caledonian Canal past Neptune’s Staircase and past Lochs Lochy, Oich and Ness. 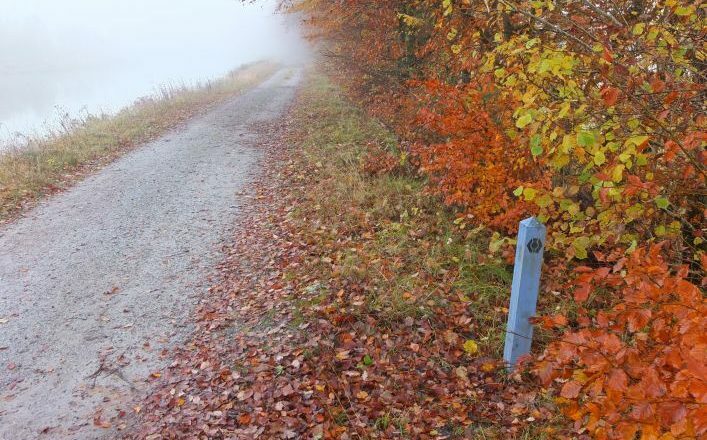 The trek terrain varies from towpath flat walking by the canal, to forest walks and woodland paths by the lochs, as well as some tarmac walking on a very quiet peaceful road. The itinerary here shows the 7-day trek, which averages 10 miles a day. This is moderate walking with some easy stages. It is possible to walk this route over 7 or 8 nights (6 or 7 days walking). The final walk from Drumnadrochit to Inverness is 19 miles. 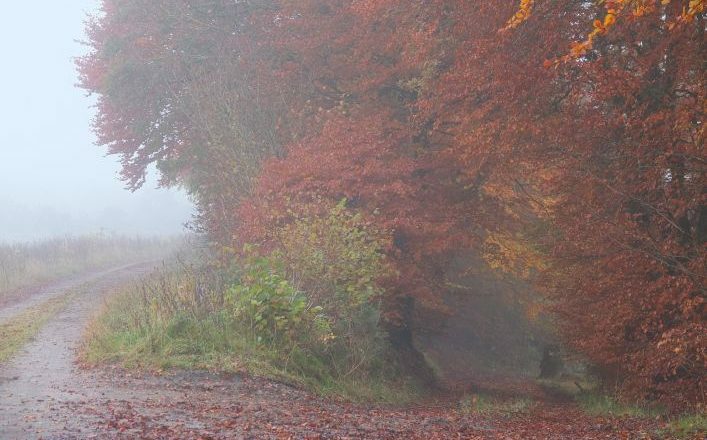 This can be split into 2 sections of 14 miles and 5 miles by staying 2 nights in Drumnadrochit and using transfers. Additional supplement for one person walking alone -please ask. Accommodation with full Scottish breakfast in guest houses, or B&Bs in rooms usually with private bathroom based on two people sharing (if we need to book a room without a private bathroom we would liaise with you first). 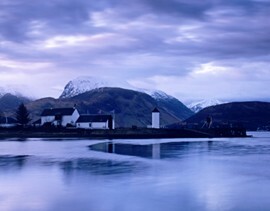 Extra nights can be booked along the route – in Fort William distillery tours are possible or climb Ben Nevis or take the Jacobite steam train to the fishing port of Mallaig and back, along the famous and spectacular West Highland Line. 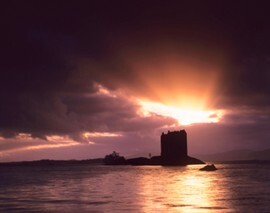 An extra day in lovely Inverness will give you an opportunity to visit Culloden Battlefield and Cawdor Castle. Departures: April – October. Because accommodation is limited and the area is very popular it is advisable to book as early as possible. 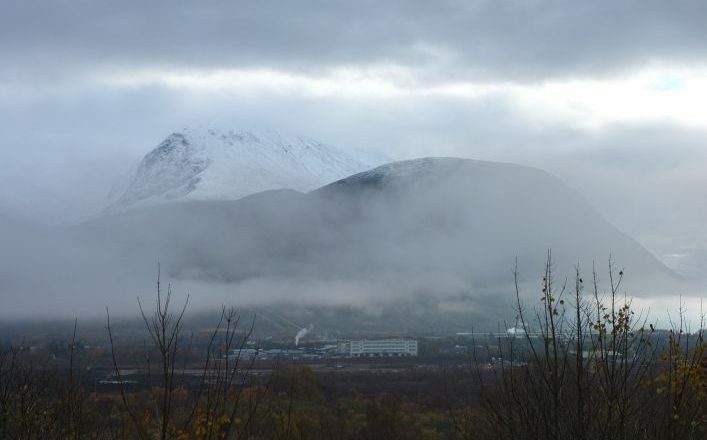 Day 1: Arrive Fort William for overnight. The walk today is through mixed woodland along the banks of Loch Oich until Fort Augustus, one of the prettiest villages in the Great Glen. 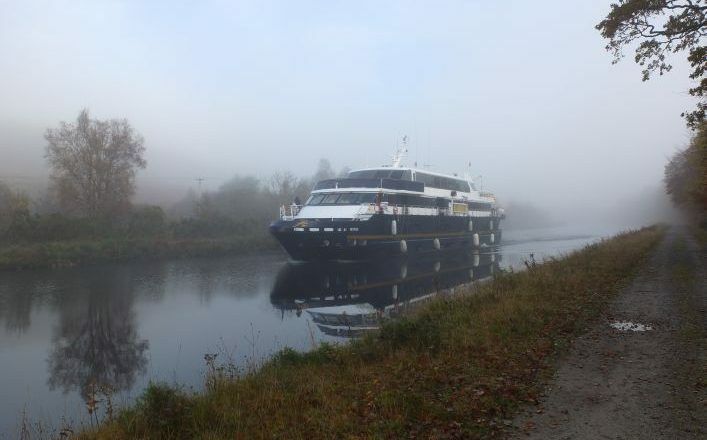 Overnight Fort Augustus. 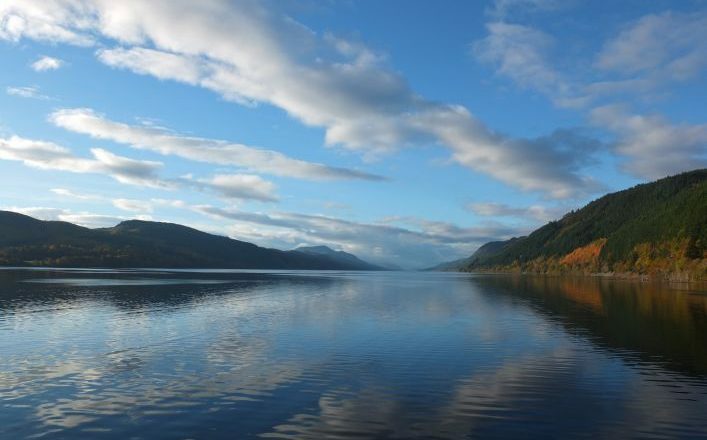 The route continues along moorland at 300 metres and through forest with gmore panoramic views down the Great Glen and Loch Ness. At the end of the walk there is a transfer back to Drumnadrochit. Overnight Drumnadrochit. 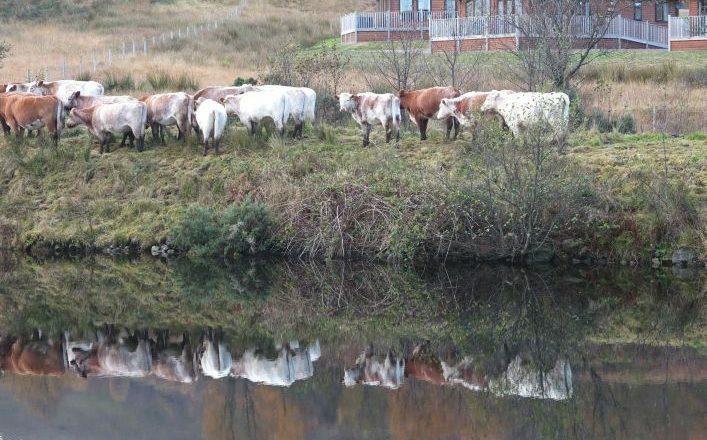 Transfer back to Blackfold – then a beautiful walk alongside the Caledonian Canal to the Highland Capital, Inverness. We have carefully selected our accommodation from the best bed and breakfast and farmhouse accommodation in each area. Your hosts are local people, who know about the surrounding countryside, and you are guaranteed a warm welcome. Normally, your room will have en-suite facilities. However, this cannot always be guaranteed, particularly at busy times and in the more remote locations. Please let us know if you require en-suite rooms every night. We can also arrange accommodation in Hotels, usually at an additional cost. Inverness: Hourly trains to Edinburgh with connections to Glasgow and the south. Frequent buses to Edinburgh. It is essential that you are properly equipped and clothed for walking in Scotland, and a compass and know how to use it. Basic advice on safety is contained in the leaflet “Enjoy the Scottish Hills in Safety,” available from the Scottish Sports Council, Caledonia House, South Gyle, Edinburgh WH12 9DQ, Scotland, UK or ask us. Sturdy walking boots and walking socks (with a change of socks in rucksack), rucksack/day pack, 1 x water bottle with 1 litre capacity, insect repellent, sun block/cream, compass, torch and a first-aid kit. Rain weather clothing highly recommended. April to middle of October subject to weather conditions.